Yes, the use of a music title from the Proud Music Library in a promotional video that would be uploaded to Facebook is allowed. It makes no difference whether the video is uploaded to a video portal and then, eventually to Facebook, or whether the video is directly uploaded to said social network. Facebook is treated by us just like all other social networks: as a video portal. It is merely important that the advertising link from the promotional video license (so called pre-, mid-, and post rolls) are excluded. The license, however, has not time limitation and is always valid for one spot and one language version. Posted on 20. January 2012 18. 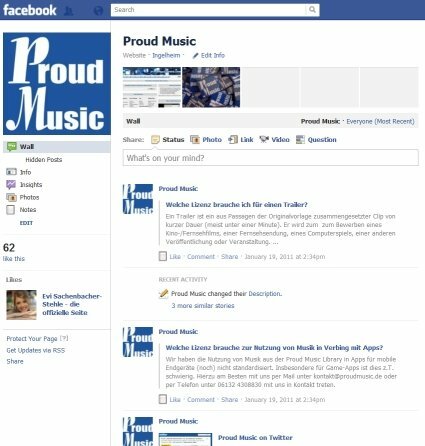 January 2012 Categories FAQ, Legal QuestionsTags advertising license, facebook, license, social networkLeave a comment on Is it possible to link a music online advertising license to a promotional video and uploaded to Facebook? Sync rights refer to the license provided in order to be able to synchronize music to a video, film, commercial, or the like. In this way, a song can be paired with the particular genre without limitations for the licensing period without having to pay for performing rights. 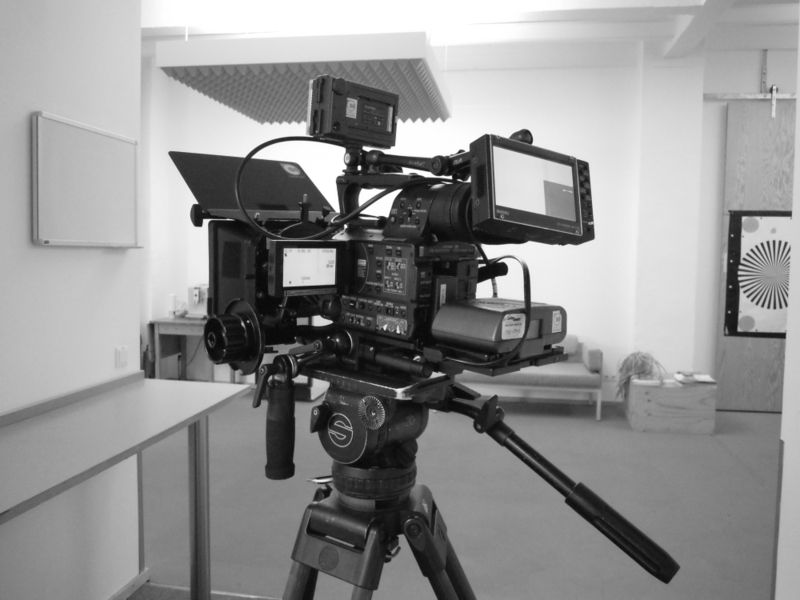 In order to be able to combine the two, it is also necessary to acquire proper permission, the film manufacturing rights, for example. At Proud Music, we have cleared synchronization rights with our authors, so our clients may obtain the license of a title online from our library easily, without having to pay for expensive manufacturing rights. Posted on 18. January 2012 10. November 2015 Categories FAQ, Glossary, Legal QuestionsTags film manufacturing rights, performing rights, Sync rights, synchronization rightsLeave a comment on What are synchronization rights?